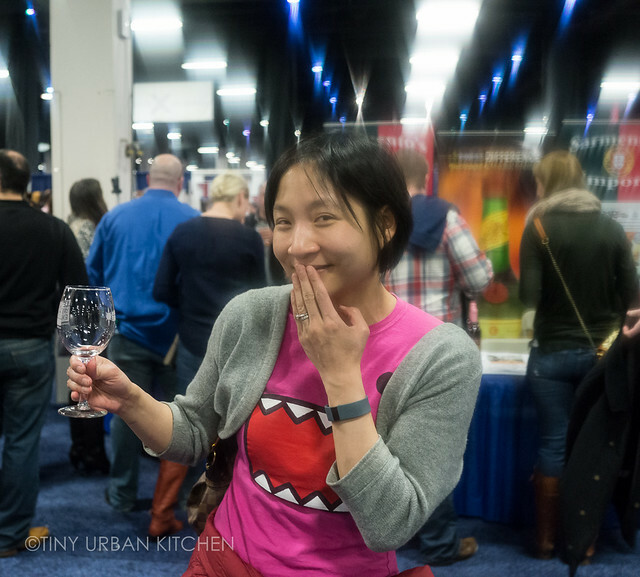 Boston Wine Expo 2015 THIS WEEKEND! Giveaway – 2 tickets! Unfortunately due to the upcoming snowstorm the Boston Wine Expo has decided to cancel the event on Sunday, February 15th. Unfortunately, this means that I will not have tickets to give away since the event is now canceled. So sorry! Stay warm and safe everyone! It’s that time of year again! 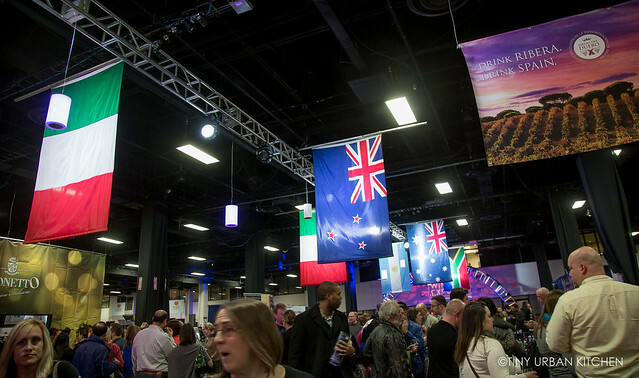 The 24th annual Boston Wine Expo 2015 is happening again THIS WEEKEND at the Seaport Hotel and World Trade Center from 1PM to 5PM. 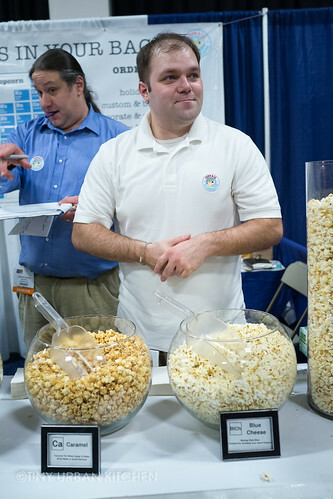 Tickets for the Grand Tasting are $99 on Saturday and $89 on Sunday. With the ticket you get to sample wine from over 200 wineries, taste various food samples, get a souvenir wine glass (see photo above! ), and watch various celebrity chefs on the stage (full line up of chefs at this link!). If you want to grab some tickets, you can go to this link. To learn more details about the event, you can go to their website here. I’ve gone the past two years (you can read my write-up last year here) and it’s always a lot of fun. Wineries from all over come to this event, so it’s a fun and rare chance to try so many different wines all at once (well, over a span of four hours!). 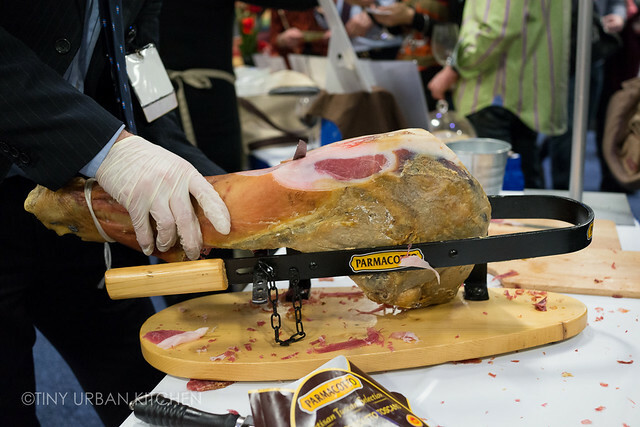 They also have tons of fun food samples, like Spanish ham. Of course . . . chocolate! Heh, I had to cover my teeth because they were really blue! I have one pair of tickets to the Sunday Grand Tasting (February 15th) that I’m giving away. In order to enter, please comment below telling me your favorite wine. We are always looking for new wines to try, and would love to hear suggestions. Entries will be accepted up to this FRIDAY, February 13th at NOON, EST. I’ve lately been loving some Greek dessert wines! Can’t recall the names, but delicious at the end of the night. I love your blog! It’s really helped me eat my way through Boston quite well (I’m a native San Diegan). Last year I went to Italy for the first time for my 30th birthday and fell in love with Chainti wine. My favorite thus far has been the Tomaiolo Chianti Classico Riserva Wine, which happens to be the same wine I will gifting all my bridesmaids this year as a “will you be my bridesmaid?” gift. It has a subtle spice lining with berry/cherry undertones. Great with pasta and grilled meats. Hope you try it and love it as much as I do. Salute! Have you tried the Prisoner? It’s a great standy for us when we’re looking for a tasty California red blend. Wow, you’ve just given me a great weekend idea. Thanks! I can’t choose a single variety, but Charles Creek winery from Sonoma is splendid. Brilliant Cabernet and a surprisingly amazing Chardonnay! I’m a huge fan of the Chateau St Michele riesling! It has a wonderful balance of light aroma with the familiar sweetness of a good reisling, without being too dry or syrupy. I had this in new york a few years back but have been unable to find it in Boston or online. Good value and love this wine. Chateau la pavillon De boyrein 2009 graves. The Bartenura Moscato comes in the prettiest blue bottle and is sweet enough that people who don’t like wine will like it but not so sweet that people who like wine won’t like it, if that makes sense…. Thanks for the giveaway! Love your blog! I have a soft spot for Cakebread Cabernet – pricey but oh so delicious. My first visit to the winery was on a rainy afternoon with my boyfriend now husband. We ducked in to get out the rain are were blown away by the wine and the hospitality. I’m a huge fan of Rosa Regale; had it first with a strawberry/chocolate dessert at Meritage — it’s the perfect pairing. The Boxer by Mollydooker winery in Australia is a great find! I’d love to go! My favorite wine right now is 90+ Super Tuscan. I’m a fan of Spanish Ribera del Duero wines. All the wines from the 90+ lines have great! And they are such a good price! Ooo fun, I’d love to go to the Grand Tasting! I’m a big fan of Argentinian Malbecs right now. Espiritu is a good one! Thanks for the giveaway! I am enjoying NorCal Pinot Noirs right now, so juicy! Ridge Winery’s Estate Cabernet Sauvignon! Or I may just be a bit biased as it’s in my hometown. 😉 That being said, I’m a fan of their cabs and syrahs in general. Tokaji- Hungarian wine. 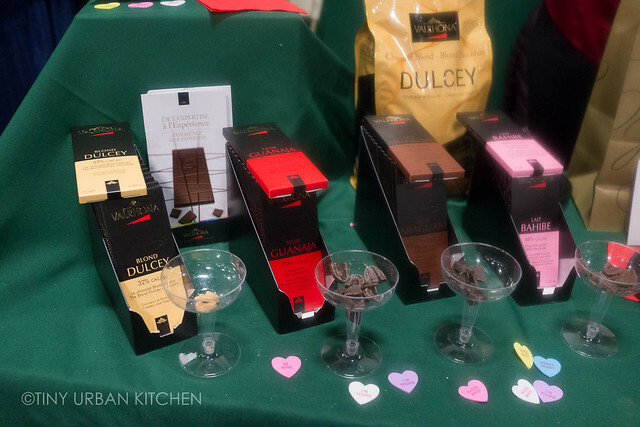 It’s different than the others as a whole in terms of notes and texture, but after your first tasting, you’ll appreciate it a lot more. It’s so good, Hungarians sing about it. I love Norton’s Malbec Reserve, especially 2010, Bargain wine especially with it’s multiple years in a row of top 100 wines of the year rewards from Wine Spectator. Great example of what Argentina can produce with their Malbecs! Also, Bully Hill Vineyard is an official sponsor of the Red Sox and the Bruins! Hi Jen, Thank you for the opportunity to win tickets. I adore Malbec and would love to try new wines on Sunday which happens to be my birthday. I would love to spend it at the Wine Expo! The first wines I fell in love with were Rieslings and Gewürztraminers from my college years in Upstate NY (Hermann Wiemer, Dr. Konstantin Frank). In particular, I love the fruity and floral tones of Gewürztraminer (especially the lychee fruit!). It’s great to smell and drink on its own or paired with an Asian dish – in honor of the upcoming Lunar New Year! 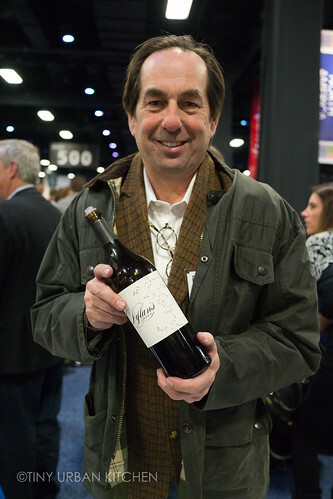 I’m glad that more vintners are now producing Gewürztraminer and I hope to try others at the Wine Expo this year! California Reds…preferably cabernets or merlots…something full bodied. My bottles are usually under 20 but for a special treat, can’t beat Caymus. Yummy!!!! I’m not sure I have a favorite, but I recently drank Chardonnay during a blizzard … it’s what we had around. I highly recommend trying the 2005 Formentini Pinot Grigio – it is a wonderful wine that can be paired with so many foods. 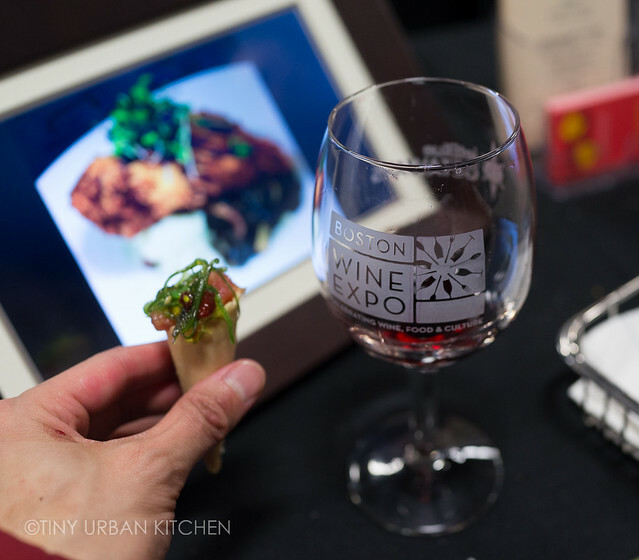 I would love to attend the wine expo – your photos have me thinking it is just the right place to spend yet another SNOWY weekend in Boston! The Sunday Wine Expo is the same day as my birthday and I would just love to spend the day there! I have to say that the Cune Rioja Imperial Gran Reserva is a wine that I adore. I always enjoy learning about new wines and your blog is just a wonderful way to learn so much about food and culture in the city. One of my most favorite wines is an up-and-coming varietal called Blaufrankisch. It’s making a comeback, which I’m really happy about since my go-to is always a dark, rich, smooth full-bodied red. Also, spicy! 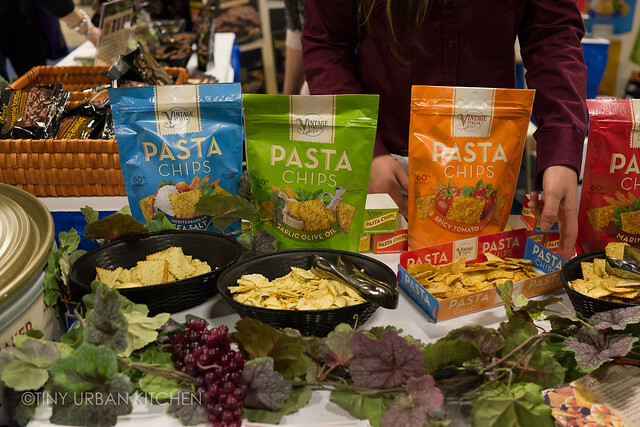 In the US, it’s grown in WA and – close to my alma mater/where I learned to love wine – the Finger Lakes, NY. The best version of this wine that I’ve had so far is made at Black Birch Vineyards in Easthampton, MA. I stumbled upon this little vineyard in 2013 with my mother on our way to a wedding on Lake George. Nothing seemed more perfect than sipping their stunning selection of wines on an Adirondack chair overlooking rows and rows of grape vines. I highly recommend a visit! My favorite wine is the Cabernet Sauvignon Carnivor from California. Fullbodied with intense flavour, just the way I like it. Goes perfect with any meat, especially on a cold fall or winter day. Since my daughter, Jordan, was born twenty one years ago, we have loved Jordan Wines. We visited them last August and had a fantastic tour plus wine and food tasting. They only make a Cabernet Sauvignon and a Chardonnay but both are fantastic. We love a pinot noir we got at Trader Joe’s called Meiomi. Very nice. Love your blog, thanks! I’m very fond of Summers’ Charbono. This ancient vine was introduced into Napa Valley and Knights Valley near Calistoga, California some years ago. I love visiting this small winery where guests can wander among the vines and sample grapes. Their tasting concierge is a true educator; I always learn something new when I go there. I highly recommend this varietal from Summers Winery. Love your blog! I would recommend a nice Barolo to go with all of those juicy steaks Bryan is always having! Trentadue chocolate port is amazing! I always enjoy a bottle of 14 hands. The red blend is great but I’m a sucker for the cab sav. For a really big red wine, I like the stuff from Reverie Winery. They also named one of their wines “AS Kiken,” which is pretty great. I always love to try something new, and lately I love El Vinculo from Portugal. It is interesting and worth the money. Almost anything red fits the bill for me … I especially like to try new boxes of wine–fortunately, so many vinyards are making their wines available in this manner. I dislike having to recycle lots of bottles, so boxes really are my current preference for table wine at home. Tix given away yet? Tried Mollydooker Boxer yet?